1. Divide the class into groups of five. 2. Single one student out in each group who will be a ‘Tomato’. 3. Students in each group ask questions to the ‘Tomato’ and try to make him/her laugh. 4. The only answer to all questions can be ‘tomato’. - What are you wearing on your head? - Why do you like dancing? - What did you do at school yesterday? 6. If somebody makes ‘Tomato’ laugh or gets a wrong answer, he/she will supplant the ‘Tomato’. 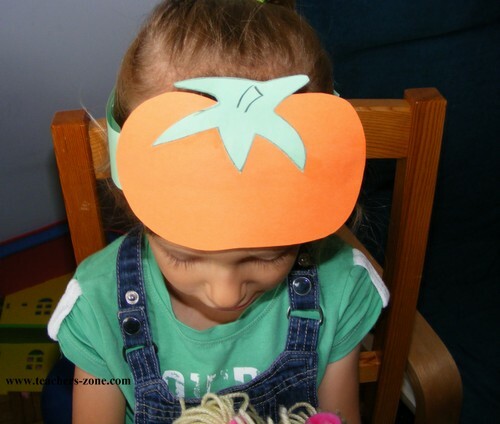 You can use tomato headbands or a tomato soft toy.